That children are gifts from God, entrusted to our care. That all children are in need of the Gospel message. That children’s faith development is the shared responsibility of parents and the Christian community through the guidance of the Holy Spirit. Shepherd’s Little Flock is a non-profit daycare supported by the congregational budget of Shepherd of the Hills, donations, fundraisers, and tuition. The Early Childhood Ministry makes policies, hires staff, and oversees the operations of the daycare and reports to the council and congregation of Shepherd of the Hills. Shepherd’s Little Flock began as a preschool program in 2000 and has evolved into a full daycare facility with an educational preschool program. We are licensed by the state of Tennessee for licensed for 70 children ages 8 weeks to age 12 years. We participate in the Federally Funded Food Program. Our children receive breakfast, lunch and a snack every day. Our facility has 3 separate rooms. Each room has a Lead Teacher with either a degree in education or a CDA in early childhood. Shepherd’s Little Flock is licensed for children ages 8 weeks to 5 years. These ages are together with a Lead Teacher, 2 teacher assistants, and 10 children. The transitional room has 16 children with a 1 Lead Teacher and 2 teacher assistants. 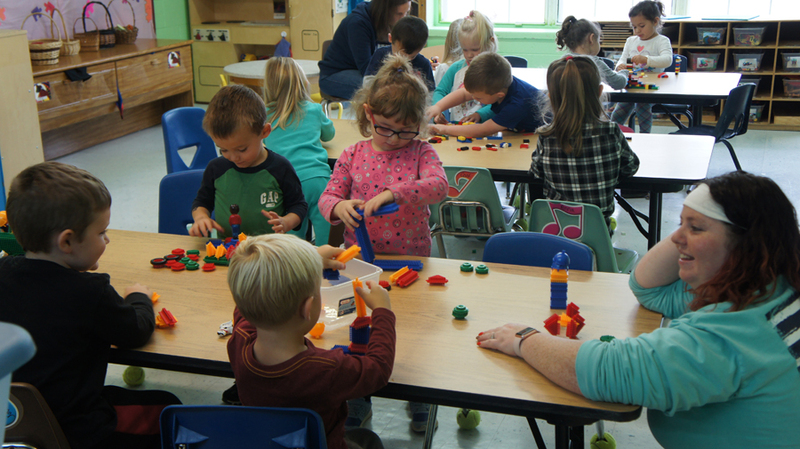 Preschoolers have 18 children with a Lead Teacher and 2 teacher assistants. Potty training is strongly recommended for the preschool room. A registration fee of $75.00 is due when you enroll your child in Shepherd’s Little Flock. Tuition is due, in advance, the Friday before the up coming week. There will be no reduction of fees when a child is on vacation, ill or during holidays.